Credit Suisse’s cost-cutting is masking uneven performance overall. The Swiss bank’s ugly second-quarter net loss was down to an already announced 1.6 billion Swiss franc charge: part of a mega-fine to U.S. authorities for helping American citizens evade taxes. But even after stripping that out, investors can’t sleep easy. In the first quarter, a below-par showing from Credit Suisse’s slimmed-down fixed income arm was rescued by its other main business, wealth management. In the second quarter, it was the other way round. Credit Suisse’s revenue from trading credit, emerging-market and securitised products rose 4 percent from a year ago, versus an average 9 percent top-line fixed income decline on Wall Street. A series of tweaks to cut risk-weighted assets at underperforming businesses seems to be bearing fruit: return on equity in the overall division was 12 percent. And getting out of the troubled commodities business is the right move. Wealth management looks ropier. True, its private banking and wealth unit pulled in a net 10.1 billion Swiss francs in new assets, despite outflows in western Europe. But despite a 12 percent cut in expenses from a year ago, the division’s pretax profit fell. Costs as a proportion of revenue are still 71 percent – well above a long-term 65 percent target. Credit Suisse Chief Executive Brady Dougan is finding it harder to make as much money off his private bank’s bigger asset base. Overall revenue is down, and its gross margin – a measure of the top line versus assets under management – fell 5 basis points to 99 bps over the quarter. That contrasts with Swiss wealth manager Julius Baer, where gross margin was up over the same period. Dougan is three-quarters of the way towards his strategic goal of lopping 4.5 billion Swiss francs off the cost base by end-2015. Although he added another 200 million Swiss francs of cost cuts on July 22, he will eventually have to show that a more incremental approach to investment bank pruning than at rival UBS isn’t harming top-line growth too much. The difference between his 0.9 forecast price-to-book value and UBS’s 1.2 times suggests investors are still to be convinced. Shares in Credit Suisse fell 2 percent on July 22 after the Swiss financial group reported a second-quarter loss of 700 million Swiss francs ($778 million) - bigger than analyst expectations. It was Credit Suisse’s biggest quarterly loss since the collapse of Lehman Brothers in 2008 and was a result of a 1.6 billion Swiss franc charge taken from fines meted out by U.S. authorities for helping American citizens evade taxes. 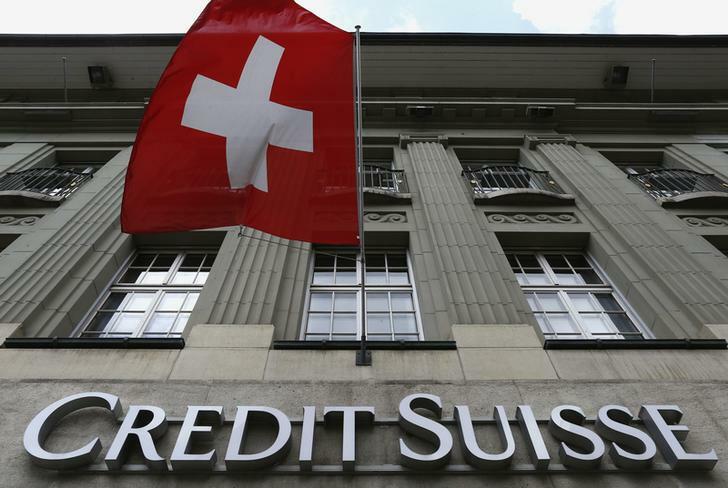 Stripping out both the effect of the charge and businesses that the group is winding down, Credit Suisse made 1.8 billion Swiss francs in pretax profit in the three months to June. However, that number was down 15 percent on the year-ago figure as revenue fell and credit-loss provisions rose. Revenue at Credit Suisse’s private banking and wealth management unit fell 11 percent versus the same period a year ago on lower client trading and performance fees. The division’s gross margin, which measures assets under management divided by net revenue, slipped to 99 basis points in the second quarter from 104 basis points in the first. Credit Suisse mitigated the pain somewhat by attracting 10.1 billion Swiss francs in net new assets and cutting costs by 8 percent versus a year ago. The top line at Credit Suisse’s investment bank also fell, by 6 percent relative to the second quarter of 2013. But the Swiss bank’s fixed income trading businesses performed well compared to Wall Street peers that have already reported, rising 4 percent year-on-year against a 9 percent average fall at U.S. banks. At the end of June, Credit Suisse’s Basel III balance-sheet measures included a common equity Tier 1 ratio of 9.5 percent and a leverage ratio of 3.8 percent.